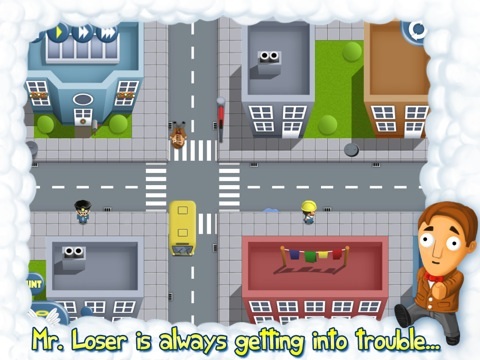 Mr Loser: Average Day iPhone App Review. It’s the time of year where we tend to go out of our way to help people, so why should Mr Loser be any different? 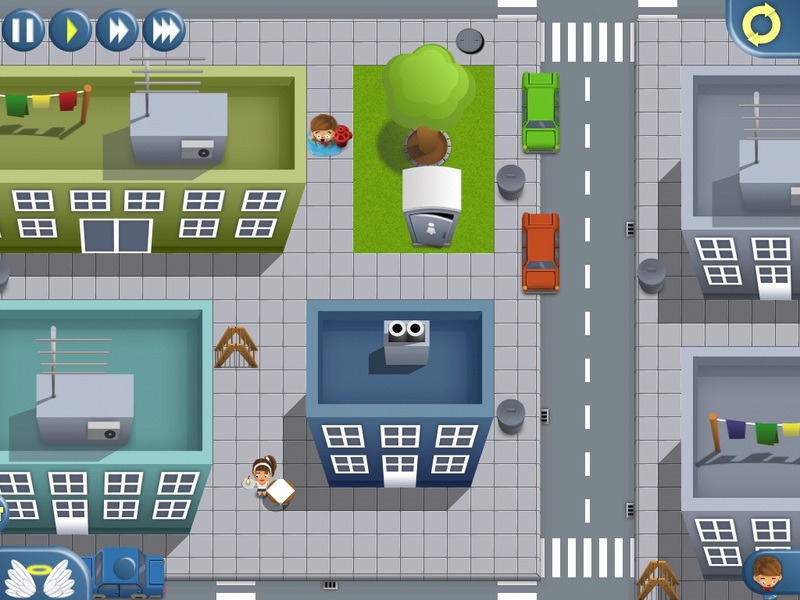 Help poor Mr Loser navigate the streets of his town to complete a list of activities and you can consider your good deed done for the day. Not sure whether Mr Loser really has less luck than most, or has just lost his common sense, but it’s up to you and the various in game characters to be his guardian angel and save him from sudden death, or at least horrific injury. Rather than bore you up front with tedious options (there aren’t any really other than turning the sound on and off) and instructions, you’re launched straight into the game. The first screen tries its best to give you the critical information you need, however, poor Mr Loser died a horrible death multiple times before the specific drag actions needed to be employed were discovered. Maybe a quicker, younger mind would catch on more quickly. At first it did seem like Mr Loser had to die/be injured before the links you were obviously meant to be making yourself were made between the characters and the obstacles. Only once you had died a particular way were you presented with an option of a hint to let you know which character you should be racing around to bring to Mr Loser’s aid. I’m not sure how else it could have been done really, it would have been mightily frustrating to keep trying each character with each obstacle – some are really not that obvious at all. Although it was noted that the developers did try their best to give you hints along the way – e.g., the fallen apples in Mr Loser’s path could be cleared by the character holding the apple. Some were far less intuitive though, so I for one was thankful for the hints. Once you know the path Mr Loser is going to take and match the obstacles/hazards to the characters the game becomes one of seeing how fast you can drag your finger across the iPad’s screen. 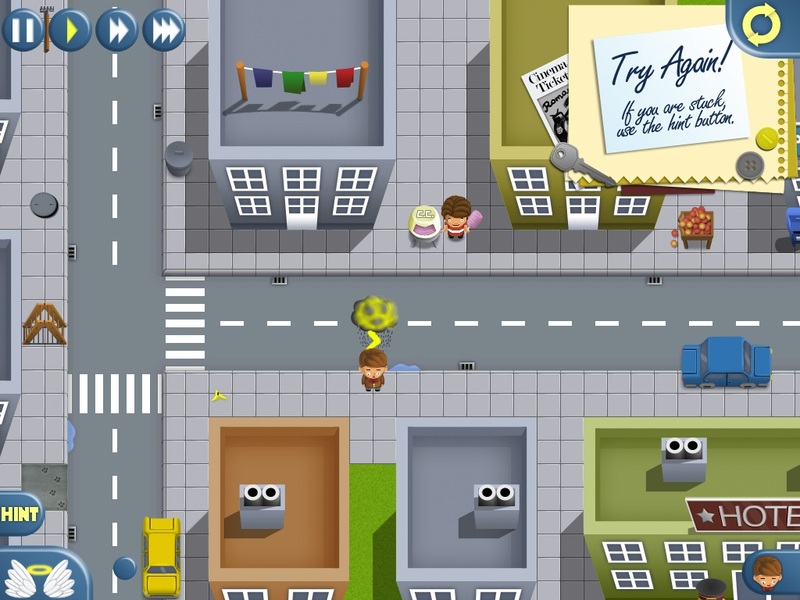 I was pretty thankful when I completed the game in just over an hour – I had started to fear for the skin on my right index finger that was slowly becoming worn away in my efforts to save dear Mr Loser from being eaten by a dog. It’s hard not to take saving the dear man seriously. If you’re looking for a quick time filler, this is certainly an app for you. Just assume that everything is out to get Mr Loser and you’ll do just fine. What do you think of Blazing Arc - Magical Shooting Game ? scroll down for our comment section.